I really do love surprises… especially edible ones. I came back to work from running errands this afternoon and found these on my desk. I love my husband; no that is not the sugar high talking. 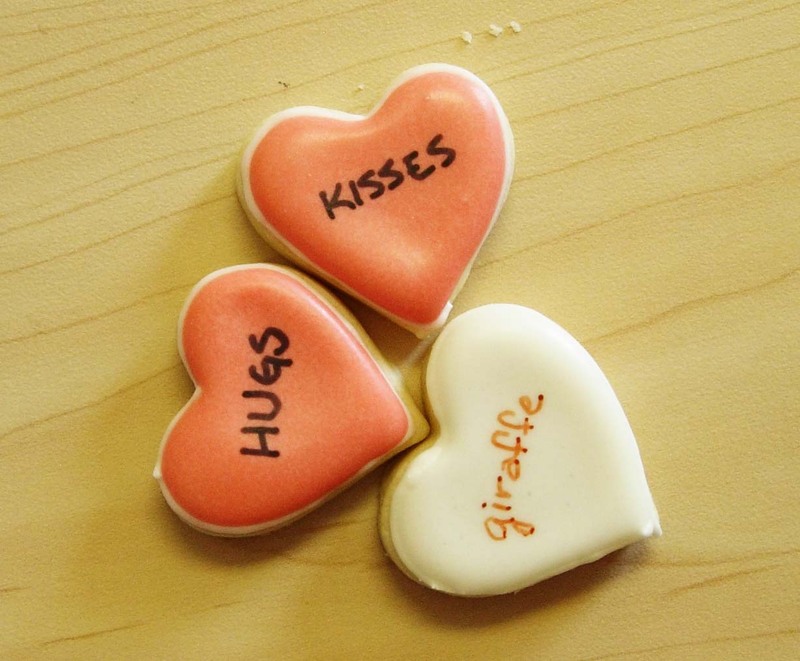 Hugs & Kisses… & Giraffes? Yes, 3 things I love the most. Mix butter, cream cheese, sugar, egg and vanilla. Beat until creamy (med speed). Reduce to low and mix in flour in 3 batches. Divide into two equal portions, wrap in plastic wrap and refrigerate at least 2 hours (overnight is better). Roll out to 1/4 inch thickness and use cookie cutter. Bake at 350 degrees for 10-11 minutes on ungreased baking sheet. Edges will not brown. Cook completely on cookie sheet. Trick #1. Cookies must be completely cool. Trick #2. 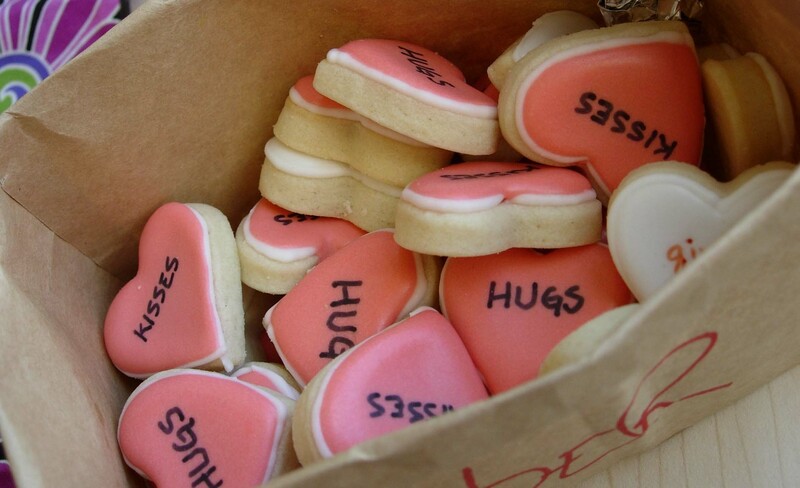 Place a thin round piping strip at the outer edge of each cookie. Let it harden a bit. Trick #3. Thin 1/4 cup frosting with 1 tablespoon water (this is called a flow) and fill in each cookie. The flow will go up to the piping and stop. If you plan on writing on the icing, it MUST sit for 24 hrs to harden and you will probably still lose a few. Use edible markers and barely touch the top of the icing when writing or you will break through it. Practice on a piece of paper first. Those cookies are awesome. I can’t beleive he made THEM they look professional! OK, I hear new business opportunity..